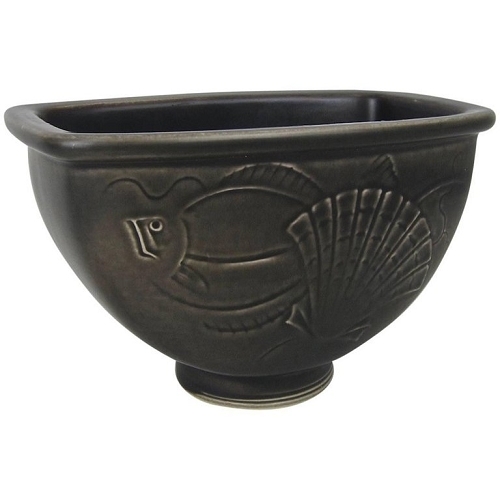 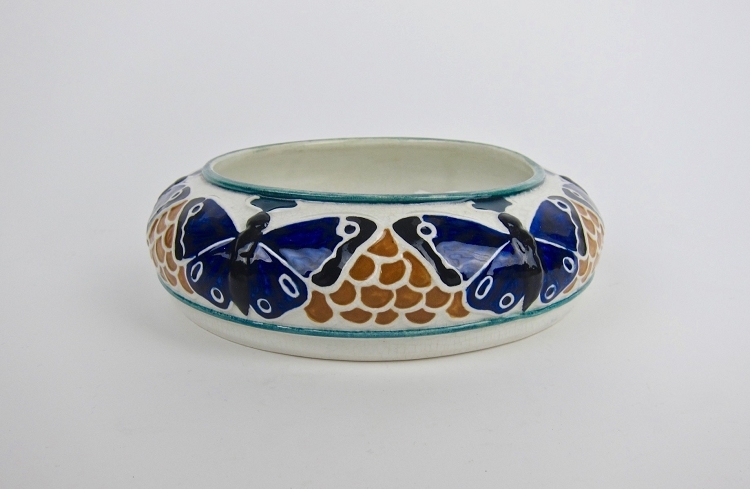 An early 20th century art pottery low bowl from the Art Nouveau period designed by Alf Wallander for the Rörstrand Factory of Sweden. 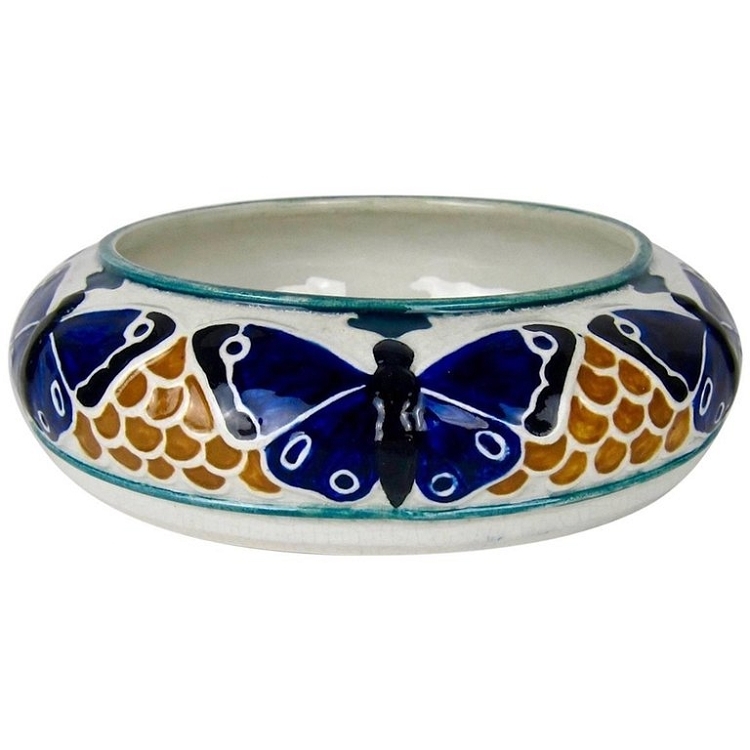 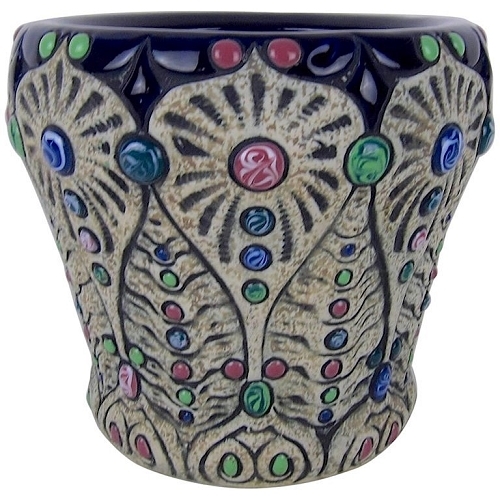 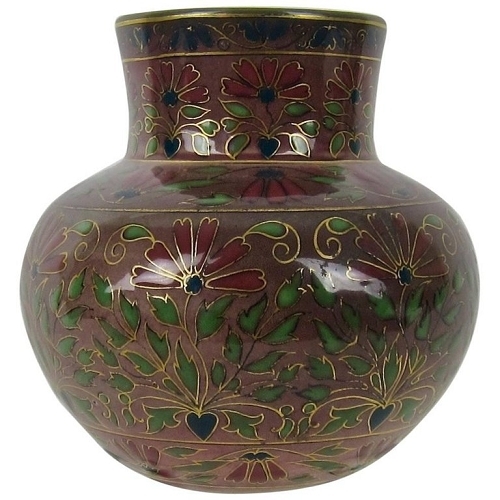 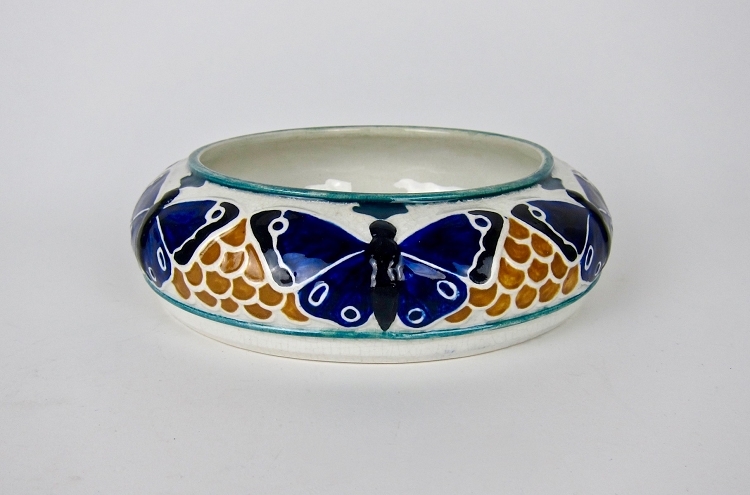 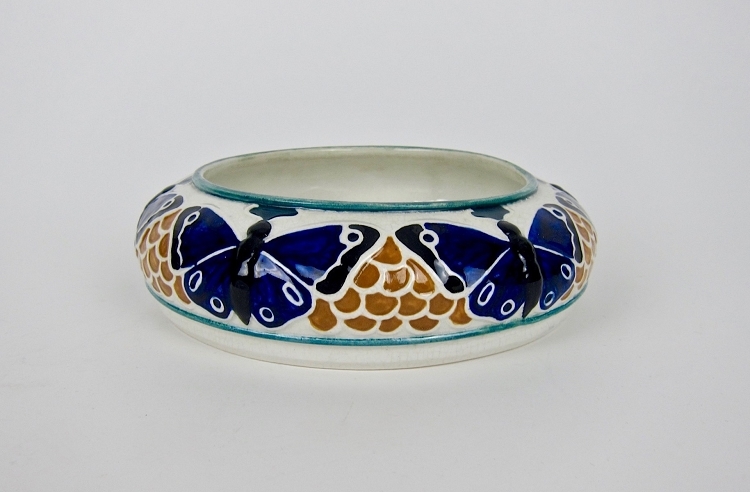 The earthenware vessel features a Jugendstil decor scheme encircling the body; a molded and hand-painted band of butterflies with blue wings alternating with a golden fish-scale motif bordered by green accent lines. 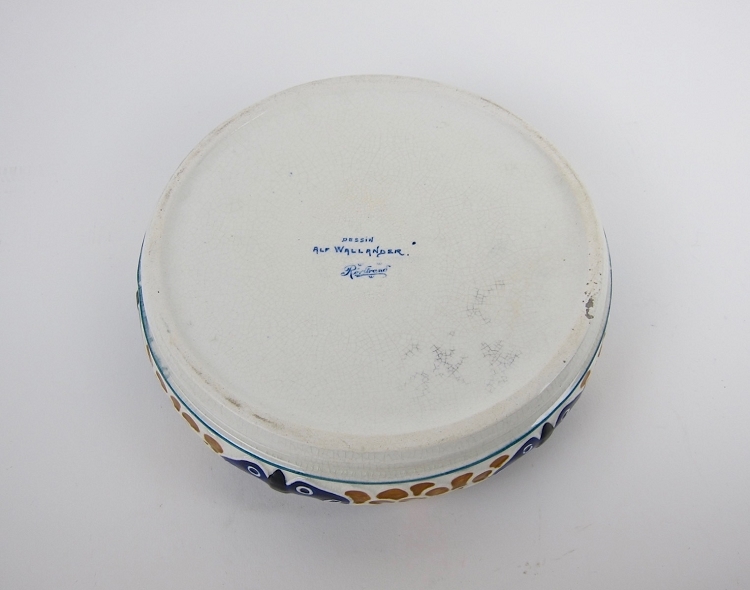 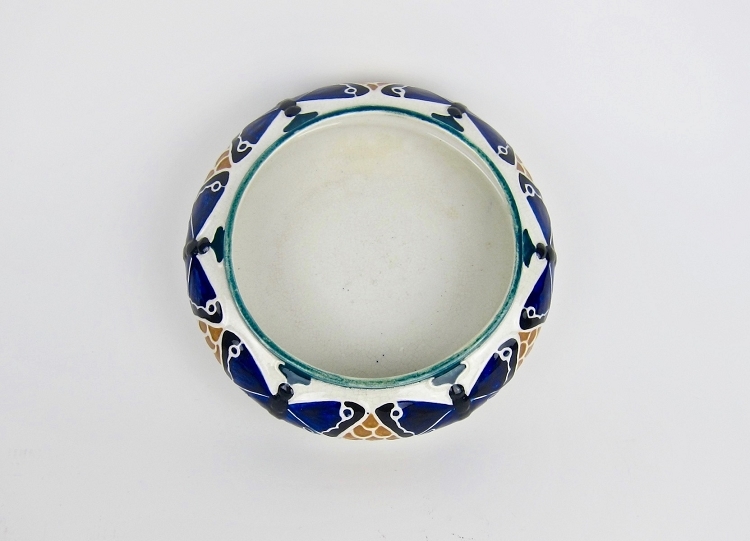 The antique faience bowl is in very good condition with age appropriate crazing, marked DESSIN / ALF WALLANDER / Rörstrand [between Three Crowns] (factory mark) underfoot, measuring 2.25 in height x 7 in diameter. 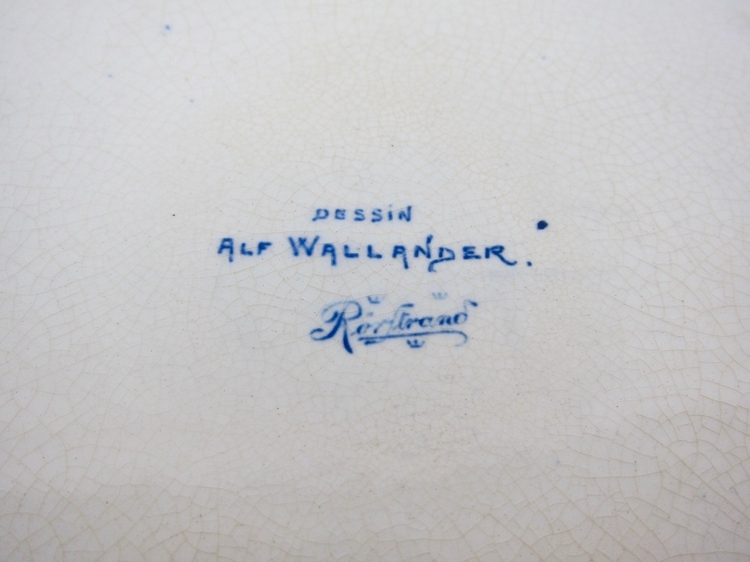 Alf Wallander (1862-1914) was a noted Swedish artist and designer. 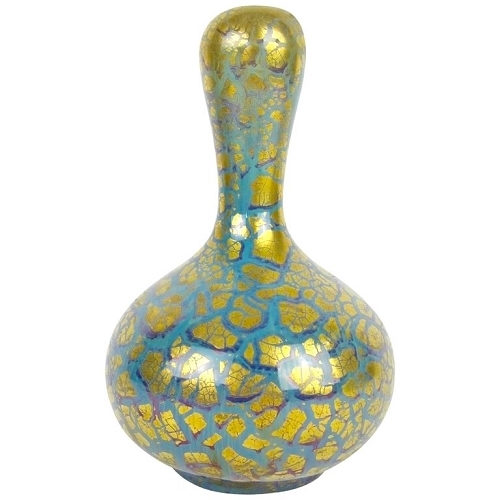 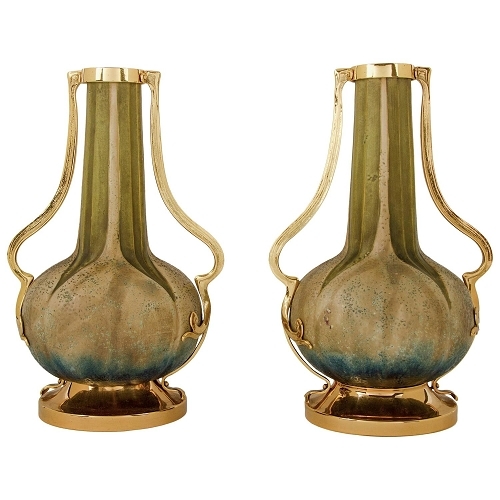 He joined the Rorstrand factory in 1895, working as Artistic Director until 1910. 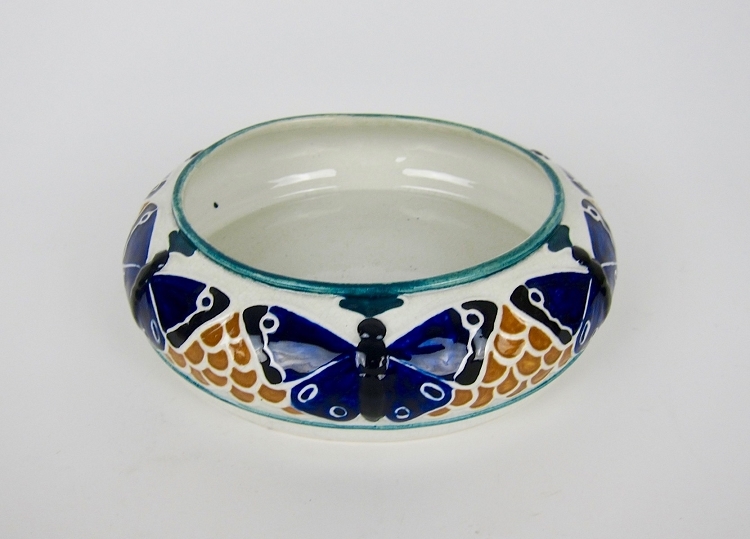 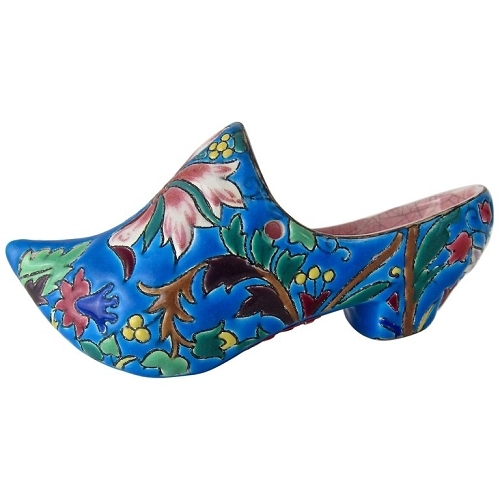 His work is represented in a number of museum collections including the V&A (Victoria and Albert Museum).